On the eve of the GSAC Baseball Tournament, five members of The Master’s College baseball team have been honored with postseason awards. Headlining the group of Mustangs is senior pitcher Charlie Gillies (Castaic, CA), who was named GSAC Pitcher of the Year. The local product from West Ranch High School posted an 8-5 record and led the conference in innings pitched (92.2), earned-run average (1.94), opposing batting average (.180), and strikeouts (108). 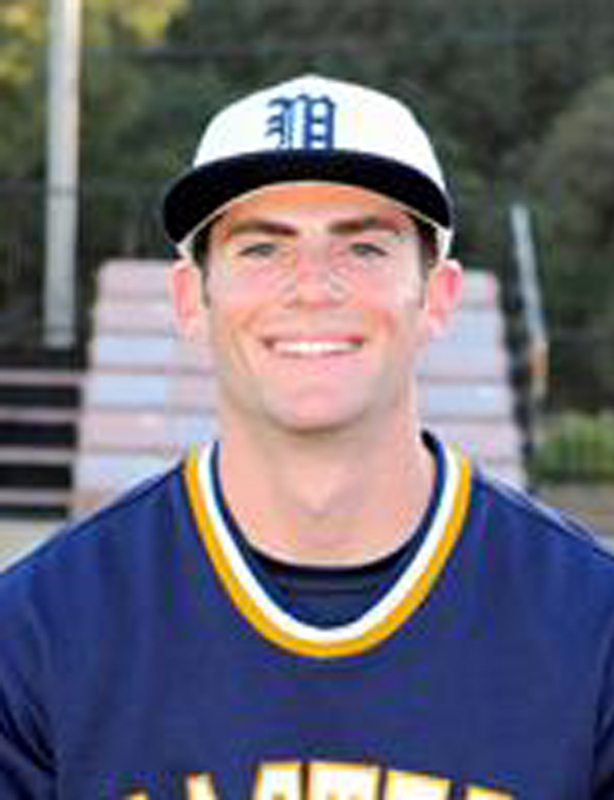 He was joined on the All-GSAC squad by junior pitcher A. J. Work (Boise, ID) and junior catcher Bryan Lucas (Newhall, CA). Work enjoyed an outstanding campaign, leading the conference in wins (10), runs allowed (23), and earned runs (20). He finished second in ERA (2.00) and walked only 14 batters in 90 innings of work. Lucas, who also earned conference Gold Glove honors, hit .297, belted a team-high tying eight home runs, and drove in 33 runs. More importantly, he anchored the nation’s top defense (.979 fielding percentage) by gunning down a conference-high tying 26 base runners , committing only five errors, and mentoring a pitching staff that produced a GSAC-best 3.32 ERA. Joining Lucas on the conference Gold Glove team were junior first baseman Spencer Downs (Kelso, WA) and sophomore third baseman Cody Harris. Downs committed only one error in a GSAC-best 491 chances and paced the conference with 474 putouts. Meanwhile, Harris made only five errors in 140 chances. The Mustangs open play in the GSAC Tournament, hosted by Azusa Pacific, on Tuesday when they will play Biola in a 5:30 p.m. start.